Motif writing - EUROLAB e.V. Motif writing is an important contribution to the analysis and documentation of movement. Using graphic symbols, elements from the categories body, effort, space, shape, phrasing and relationship can be written down. Therefore motif writing is a basic tool to document central aspects of the movement process. It enables the observer to quickly notate what is observed. For therapeutic work, this provides a means to document one’s work in a differentiated and understandable way, to later reflect on it. It also enables us to communicate our ideas about movement to others using symbols rather than language. In addition to motif writing, we have „Labanotation“, an extremely accurate and detailed system, with which choreographies can be notated down to the last detail. For a better understanding you find below a motif writing exemple of Susanne Eckel. 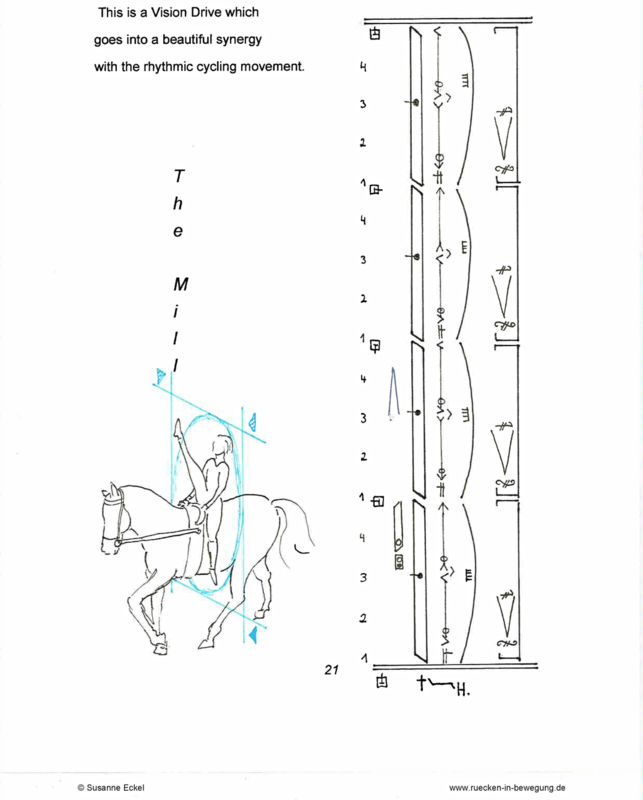 This motif writing is a part of her final work of the Laban/Bartenieff Movement Analyses Studies in New York. The complete work is available on the webpage of Susanne Eckel.